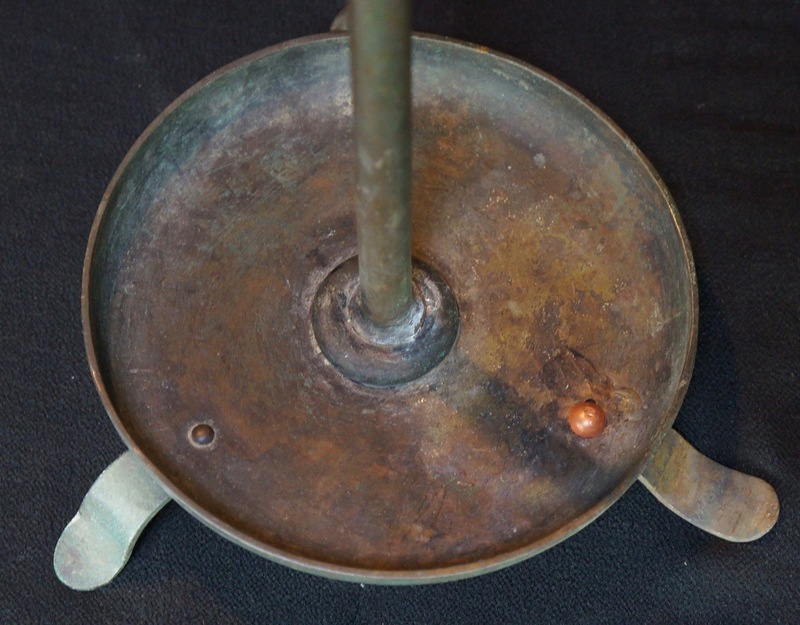 Antique Rosokutate Edo era Japanese iron candle stand 1800s Japan craft. 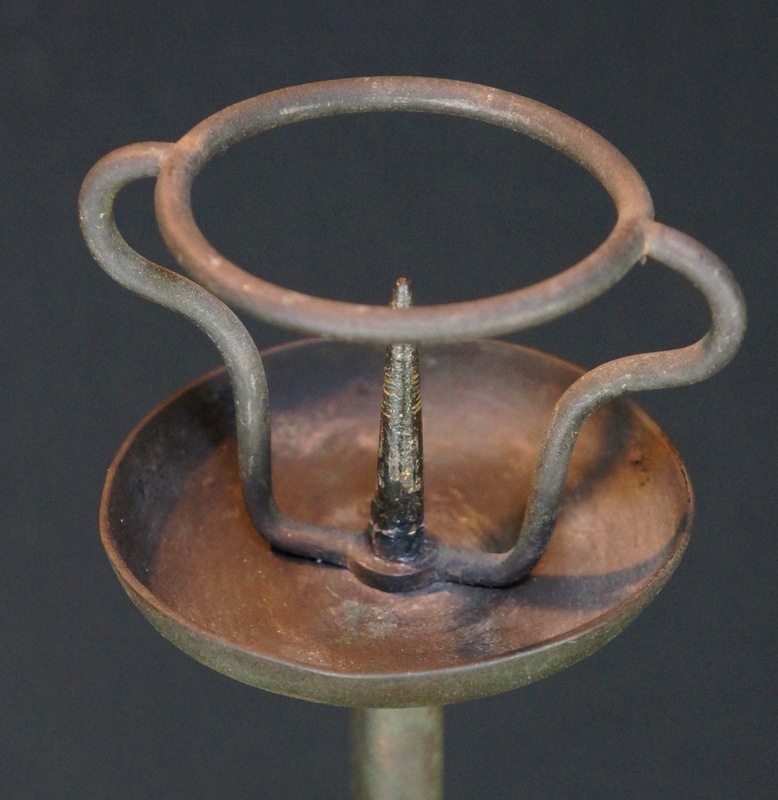 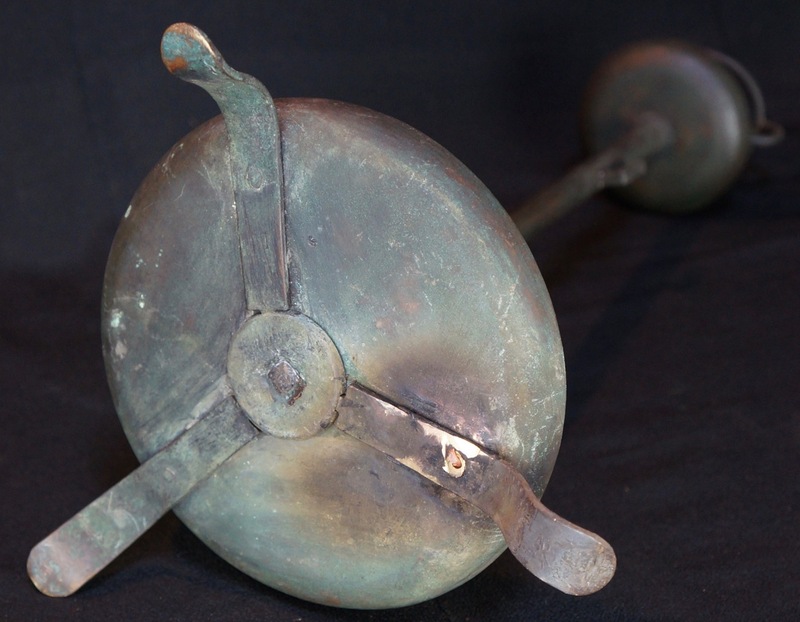 Antique indoor Japanese bronze candle stand Rosokutate, nice design, some wear marks form usage and time, visible restoration on one the legs, all in original conditions as found. 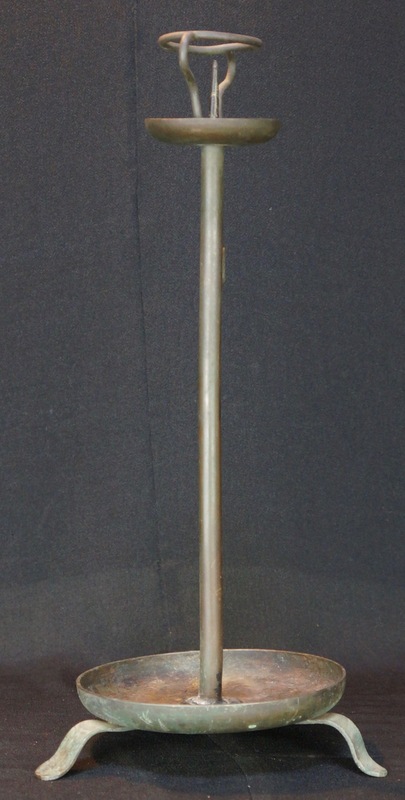 Conditions: medium, some wear from usage and time, restoration on one the legs, please see photos.